The earliest memory I have of Shiv Chandrapaul is during the India’s tour to the Caribbean in 96/97 season. Brian Lara and Carl Hooper were the major stars in the team then and I had not heard too much about Shiv at that moment. It was the third test of the series after the first two had ended in dull draws. 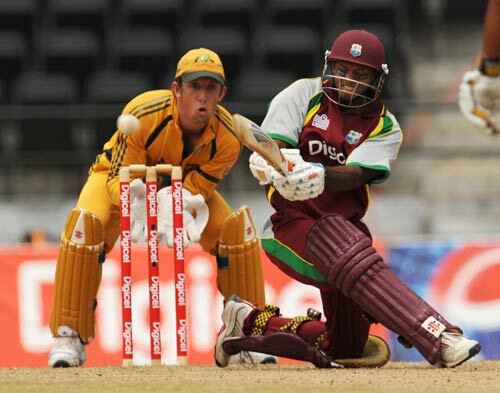 The game was in Bridgetown Barbados (Kensington Oval) with both teams yet to win a game. The wicket at Kensington oval promised a result and both teams were keen to go one up. India won the toss and invited WI to bat first and at 10/1, Shiv Chanderpaul walked in to Join Stuart Williams. That was my first look at Shiv. He was not a very attractive batsmen to look at and was very limited in his stroke play. He did not have the style and flamboyance of a Brian Lara. When WI were finally dismissed for 298 in their first innings the batsmen unbeaten with 137 against his name was the 22 year old Shivnarine Chanderpaul. That innings proved very decisive for the West Indians as the Indians crashed to a 40 run defeat chasing a paltry 121 in their fourth innings. WI at one stage in their first innings were 193/7 but finished on 298 due to a brilliant innings from Shiv. Since then Shiv has been one of the most consistant player for the WI. The unfortunate thing for Shiv is that he has been under the shadow of the great Lara for most of his career. The problem for Shiv is that he has hardly been a part of a successful WI team. Shiv’s career is in a way similar to the one of India’s Rahul Dravid. When Chanderpaul started his career he mostly played one side of the wicket and was mostly an accumulater of runs. Over the years his game has evolved and I would call him as one of leading players in the world in all forms of cricket. May be if he had played for a more fancied team such as Australia, England, India etc, he would have been termed as a great already. After the retirement of Brian Lara the entire responsibilty of carrying and inspiring a inexperianced batting line up has fallen upon Chanderpaul. The problem for Shiv is that he is not getting enough support from the more experianced Chris Gayle and Marlon Samuels. Shiv has been in tremendrous form over the last couple of years, especially in the last 12 months he has amassed 1635 in all forms of cricket at an amazing average of 86. The runs also has not come against weak sides, it has been scored against the Aussies at home and against England and South Africa away. The problem for Chanderpaul is that inspite of his great run of form WI have lost all those test series. Its a pity that such a great player has never got the recognition he deserves. Shivnarine Chanderpaul averages 49.08 in tests and 40.49 in ODI’s, which I would say puts him in the category of great players. He has 19 test centuries and 8 ODI hundreds to his name. He would have ended up with more test hundreds if only he had some support from rest of his team mates. I guess Shiv will never graduate from a good player to a great player in the eyes of the critics but I would say that he is already there as far as I am concerned.